Umnyama is the appointed service provider for the auditing of service centres funded by the Older Persons Program at the Western Cape Government Department of Social Development. This process includes collecting of the applicable documentation in respect of registration such as the application form, etc. and providing it to the DSD who will make a decision in terms of readiness to be registered or not. A process will also be followed in terms of capacity building, etc. should a service centres not be ready. The process started after April 2016 with workshops held with all service centres to inform them about the process as well as presenting training on the norms and standards for CBCSS (service centres). Progressive new legislation that protects older people was promulgated in 2006 – Older Persons Act No. 13. It aims to: maintain and promote the status, well-being, safety and security of older persons; maintain and protect the rights of older persons; shift the emphasis from institutional care to community-based care, in order to ensure that an older person remains in his or her home within the community for as long as possible; regulate the registration, establishment and management of services and the establishment and management of residential facilities for older persons; and combat the abuse of older persons. 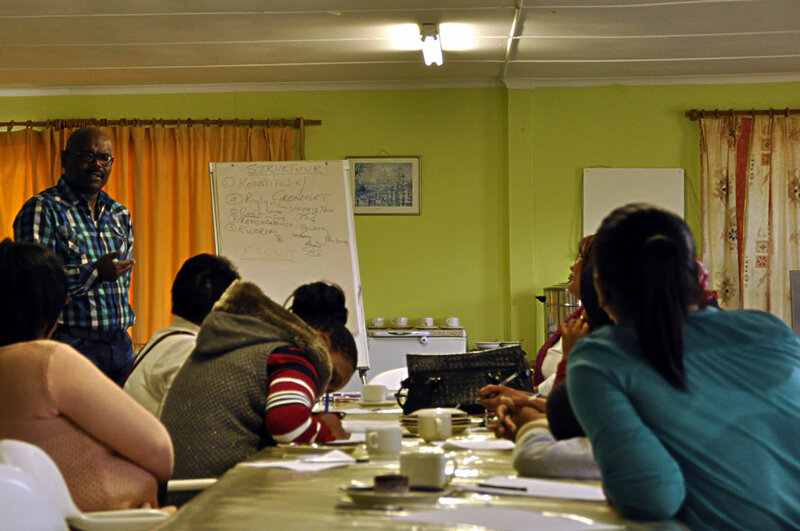 To implement these objectives, the Provincial Department of Social Development, Western Cape, gave Umnyama the task to organise and execute capacity audits of all senior clubs in the province and assist with workshops on the rights of older people. AUDITS | During 2007, 290 senior clubs were interviewed and a questionnaire on the needs of each club was completed. These needs were submitted to the DSD. Following these audits, other service providers, such as Grassroots Education and Ikamva Labantu stepped in to train the clubs in terms of NPO registration and governance. As a result of these audits, the DSD is currently funding 245 of these senior clubs and is planning to subsidise all senior clubs in 2009 and 2010. TALK ON WILLS | Since 2010 FLAC has been conducting workshops around the importance of drawing up a will. These talks have been funded by the Department of Social Development and the NLDTF. PUPPET SHOWS | A crucial part of the Active Ageing programme is to inform senior citizens about the rights entrenched in the Older Persons Act of 2006. This legislation offers protection against abuse and encourages seniors to remain in their respective communities (as opposed to being placed in old age homes). Since 2008 (up until today) puppet shows were performed throughout the Western Cape. 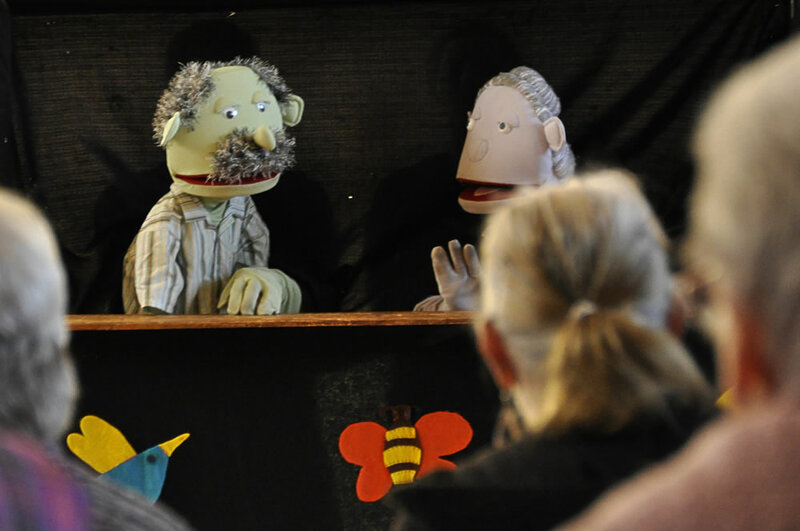 The puppet shows are a fun and playful way to introduce the basic rights protected by the Older Persons Act. The puppet shows touch on subjects like HIV/Aids, Altzheimer, differents kinds of abuse, etc. The puppet shows are perfomed by FOUKIDS and Umnyama is responsible for organising these shows in each district. Each puppet show can accommodate up to 60 people. 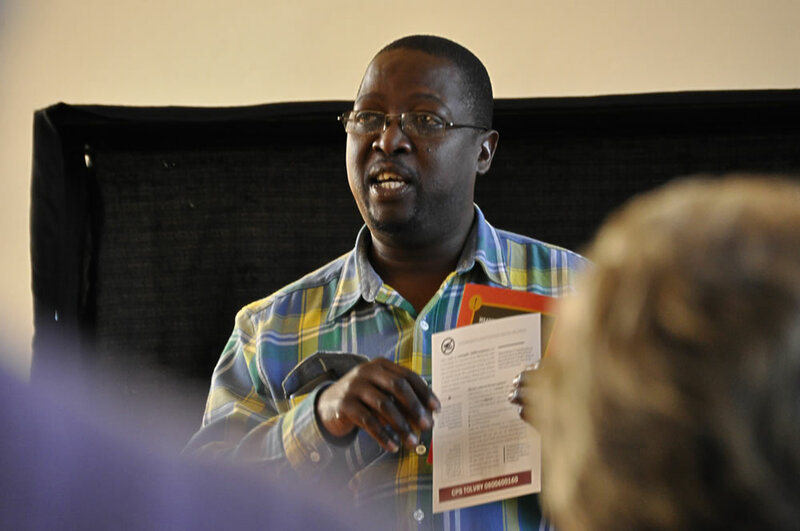 CAPACITY BUILDING WORKSHOPS – The Department of Social Development (DSD) appointed Umnyama to educate and capacitate senior club committee members on how to manage an organisation like a senior club. This workshop is mainly aimed at senior clubs that aim to comply with (or refresh) the DSD’s rules and regulations, in order to apply for funding from the DSD. What are the different roles for the committee members? What is the role of the organisation’s Constitution? How to compile a budget? How to keep records of books of account? How to report to the DSD? Twenty senior clubs all over the Western Cape will be visited by Umnyama’s facilitor team in 2015. MENTORING – Some senior clubs are in trouble, and need help. The board members fail to meet, they fail to submit financial and operational reports to the Department of Social Development (DSD), and the DSD threatens to withhold funding, or cancel funding entirely. Umnyama assists five senior clubs in Paarl, Wellington, Ashton, Hermanus and Worcester to get back in line, compliant with the DSD’s rules and regulations. Umnyama is drawing up a plan of action for each and every one of these clubs, and in close consultation with the clubs, assists them to resolve problems within the clubs. 2015 | Umnyama brought puppet theatre to 50 groups of senior people all over the Western Cape Province + 20 capacity building workshops for senior clubs in the Western Cape + mentoring of 5 senior clubs in the Western Cape | 2014 | Umnyama brought puppet theatre to 50 groups of senior people all over the Western Cape Province + mentoring of 2 senior clubs in the Cape Winelands | 2013 | Umnyama brought puppet theatre to 50 groups of senior people all over the Western Cape Province + setting up of pilot senior club in the Cape Winelands | 2012 | Puppet theatre for 80 groups in the Western Cape Province + research into access to senior clubs for people living on farms | 2011 | Puppet theatre for 30 groups in the Western Cape Province | 2009, 2010 | 25 groups of 60 seniors are trained on their rights in terms of the Older Persons Act and on the importance of drawing up a will | 2008 | 20 groups of 60 seniors were trained on their rights in terms of the Older Persons Act | 2005 | FLAC trained the board members of local nonprofit organisations | 2004 | Strenghtening Civil Society fund at the Dep.of Labour funded 25 workshops for farmworkers | 2003 | workshops on labour rights for domestic workers | 2003 | another round of workshops was held at the Working for Water project in Franschhoek | 2002 | 120 employees at Working for Water Project were trained on specific labour requirements mentioned in the ministerial determination No.3 | 2002 | skills training for 75 unemployed people in Franschhoek: plumbing, brick-laying, painting and carpentry skills. 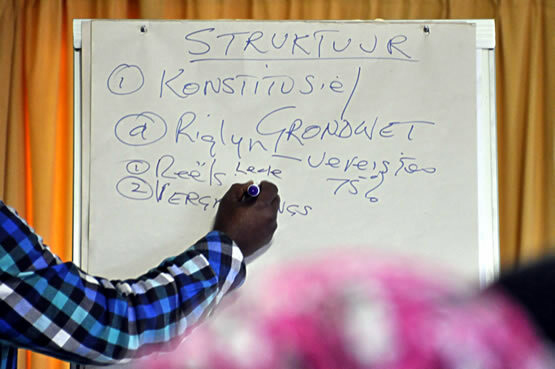 Training was facilitated by AGR and sponsored by the Dep. of Labour.